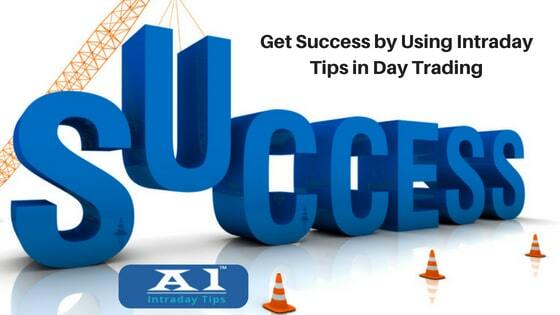 How to Get Success by Using Intraday Tips in Day Trading? Intraday trading is something that can make you rich speedily. At the same time, it is a speedy way of losing tons of money as well. Experts say that use of accurate intraday tips and the right strategy can lead you to the path of success. Finding the right stocks and entering and exiting at the right moment; the two success mantras! The risk in intraday trading is high, so as the earning potential. The blog explains a few simple yet effective tricks to reap the real benefit of it. The rules of normal share-trading don’t apply here. When you trade in stocks by taking delivery of the shares, you have time to hold the profit or loss as per your wish. In case of intraday, you must square off the position before the trading session ends. Hence, two factors are important; timing and accuracy. While delivery method relies on fundamentals such that market correction, trading sentiments, economic and regulatory aspects; intraday trading is purely driven by speculations. Therefore, you must follow a trading expert who has an excellent track record of making profit. Investment in the intraday trading should be limited to the money one can afford to lose. There is no limit to the greed. Therefore, you must decide the limit beforehand. Stop loss is the most important thing when you trade intra-day. You must exit from a holding immediately when it touches the stop-loss price. Never stay beyond it. You should always make the profit target just like you make stop-loss target. Sell the stock and exit as soon as it reaches your profit target. Never stay beyond that in anticipation of earning more. Always remember, fear and greed both are the hurdles in intraday trading. Don’t get influenced by market rumors about a stock. You may get contradictory tips that will prevent you from taking the right decision. Follow one tip and square off the position by booking profit or loss before the trading session closes. When you do intraday trading, there is no room for committing mistakes. Therefore, one should start with small trades where the profit as well as loss is minimal. Once the knack is mastered, the next level should be tried. Build your own strategy. Don’t follow others blindly. Every person has a different rationale. Try to find out yours. These tips are indeed helpful in mastering the skill of intraday trading and reaping big profits. Why Intraday Trading is so Difficult for New Traders?